The X Shot Fins are an evolution in diving. 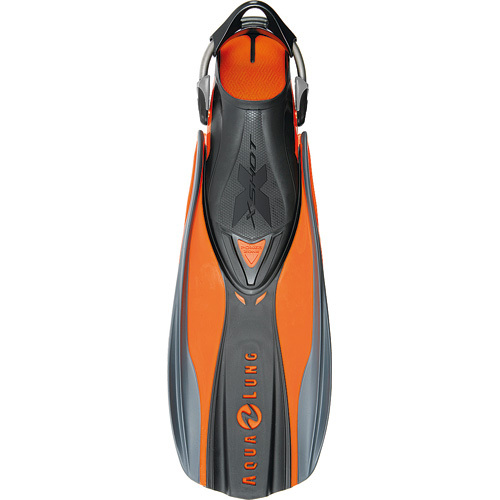 Technologies proven successful with the SlighShot and HotShot fins have been incorporated into the X Shot to offer the ultimate in comfort and performance through innovations such as the mid-foot pivot to eliminate foot and toe fatigue often experienced by divers and the “Power Transmission Zone” for efficient kicking. This area makes the connection between the boot and the blade. It transfer all the energy of each kick. An elastic insert in the middle of the blade creates an optimum spoon effect for a great propulsion without sideslip.